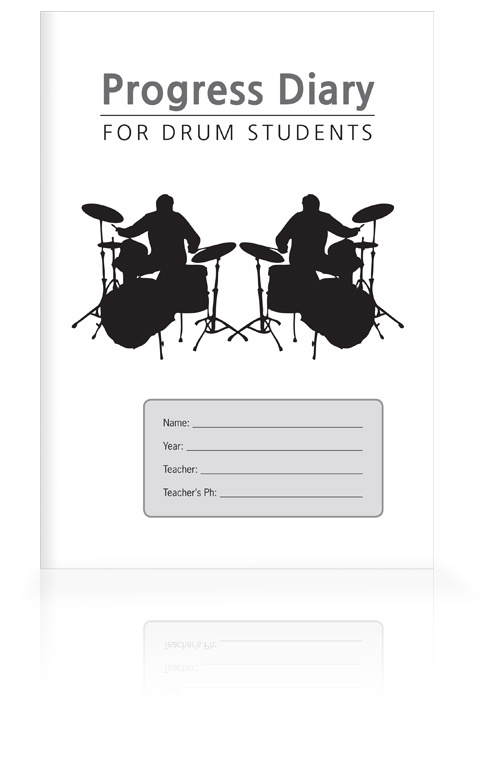 Drum teachers, get your students practising with our Progress Diary For Drum Students. 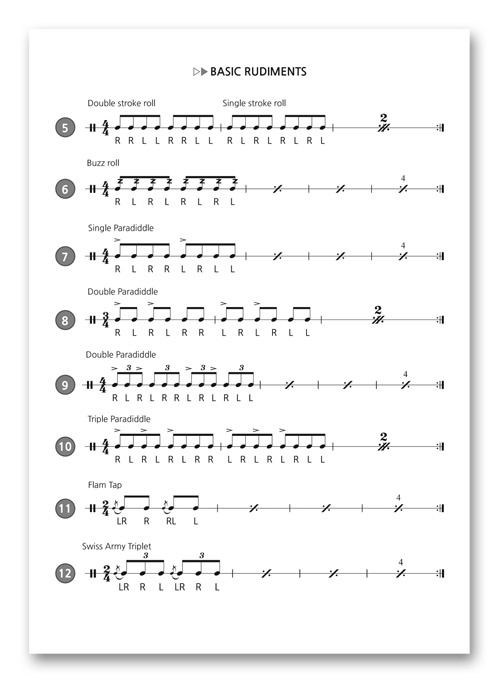 Includes 6 pages of quick warm up exercises for hands, YouTube suggestions of who to check out (Max Roach, Vinnie Colaiuta, Joey Jordinson, Chad Smith and 76 more influential drummers), manuscript and more. This tailor-made diary is sure to inspire every student. "The drum progress diaries were just what I was looking for for keeping track of where my students are up to and keeping parents informed of progress. Some great suggestions for drummers to check out too. Thanks again." "I received the diaries today... I was really impressed. 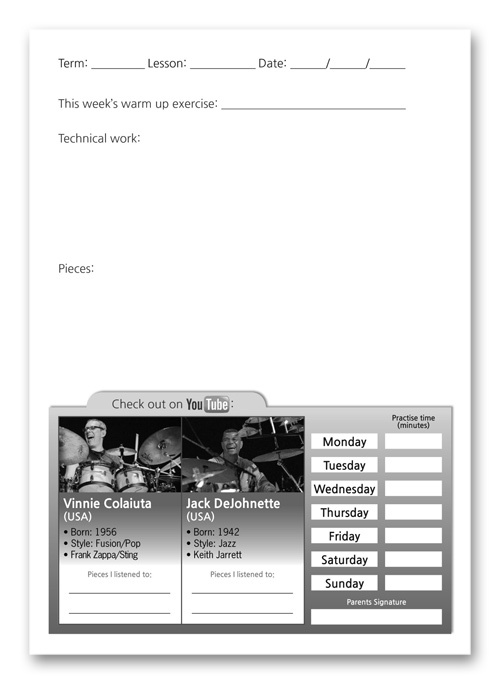 The warmups and exercises section is succinct and practical. The weekly you tube suggestions remind me of a musical advent calendar! Very nice, I'll be ordering more soon"
"The diaries are a hit!"